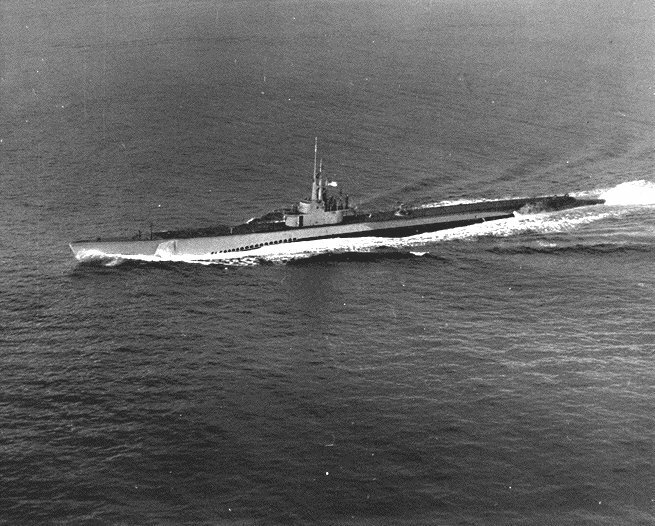 Dumlupinar was completed in 23rd April 1944 and started her missions as "USS Blower" in US Navy. She was a Balao type submarine. She has a bad reputation because of the accidents that she ran into. Her first war mission was in Pearl Harbor in 16th December 1944 under the command of Lt. Cdr. J.H. Campbell. She completed her first mission in 17th January 1945. She made three scouting trips until the war endede in Java And South China seas. Between 1946 and 1949 she completed her missions comissioned to the Pasific Fleet. 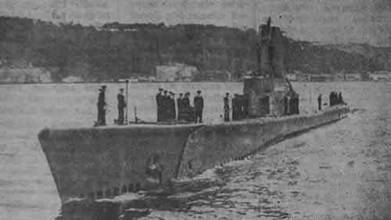 In 16th of November 1950, she has been given to Turkiye and called "Dumlupinar". In 4th april 1953, while returning from the Nato training mission "Blue Sea", she collided with the Swedish Cargo Ship "Naboland" in Nara region, Canakkale and sunk. Nowadays she is lying in 90 meters depth. Inonu I and DUmlupinar submarines started their voyage home to Golcuk after completing their missions in the Nato training in mediterennan. In the night connecting 3rd of april to 4th ,they passed Canakkale straits returning home without knowing what will happen. The trip that was passing without a problem has ended for Dumlupinar at 02:10 o'clock Am.n son buldu. Same night, the Custom's ship that was anchored in the Eceabat Harbour, was warned by a small motor ship. The person on the ship told them about the collision near Nara and asked them to get to the scene. When the ship reached to the collision area, the sea was like a circus area. All of Naboland's rescue boats were on sea, they have throwed their phosphorus life jackets to sea and fired a lot of flares. Custom's ship has taken onboard the rescued sailors from Dumlupinar who was on the sea or rescued by the rescue boats. The sailors have been taken to the hospitals around very quickly. But still there was 81 person under the water , noone knowing if they were alive or not. There was nothing else to do but to hope that they were alive and to call the "Kurtaran" ship, the submarine rescue ship. "DUMLUPINAR SUBMARINE COMISSIONED TO THE SEA FORCES SUNK HERE"
The customs officer waiting an answer has been relax when he heard the answer: "Yes, I am Lituenant Selami". Getting the answer what he was waiting, Selim Yoluduz asked to the lt. Selami about their condition. The answer that he got was explaining the horrible condition in Dumllupinar. Lt. Selami told him that the submarine was staying still 15 degrees to starboard, that their electricity was off and they were 22 persons in the stern torpedo room. Selim Yoluduz told him that they were in the Nara bay of Canakkale and their submarine was in aproximately 90 meters depth. He said "don't worry we will get you out of there. Kurtaran is on its way." The words that Lt selami told him has been written to his ears and heart : "We salute our families. We know that you will save us. For our country..."
The words "For our country" was the last words heard from the Dumlupinar lying in 84 meters depth. After the accident, when Admiral Sadik Altincan, Governor Safaeddin Karnakci and other autorities arrived to the region, the rescue operations started. In the mean time Inonu 1 submarine who didn't notice the accident returned to the accident region to help the rescue operations. There were other ships on the water to help the rescue operations. The rescue operations continued in the drifty waters of Canakkale but this efforts couldn't save the crew of Dumlupinar. A lot of divers tried to reach to the submarine but none of them could tie the saving port to the submarine. Although everything done to save them, they couldn't save the crew and the submarine. In the tuesday morning all of the hope was lost because a submarine only lets her crew to live three days. After 72 hours the air left in the submarine wouldn't let them to live. And at 02:15 o'clock the three days period was over. All the hope for the 22 people in the submarine were lost. The following day at 15:00 o'clock they made a ceremony on the ship "Basaran" for them and a lot of flowers left on the water for them.